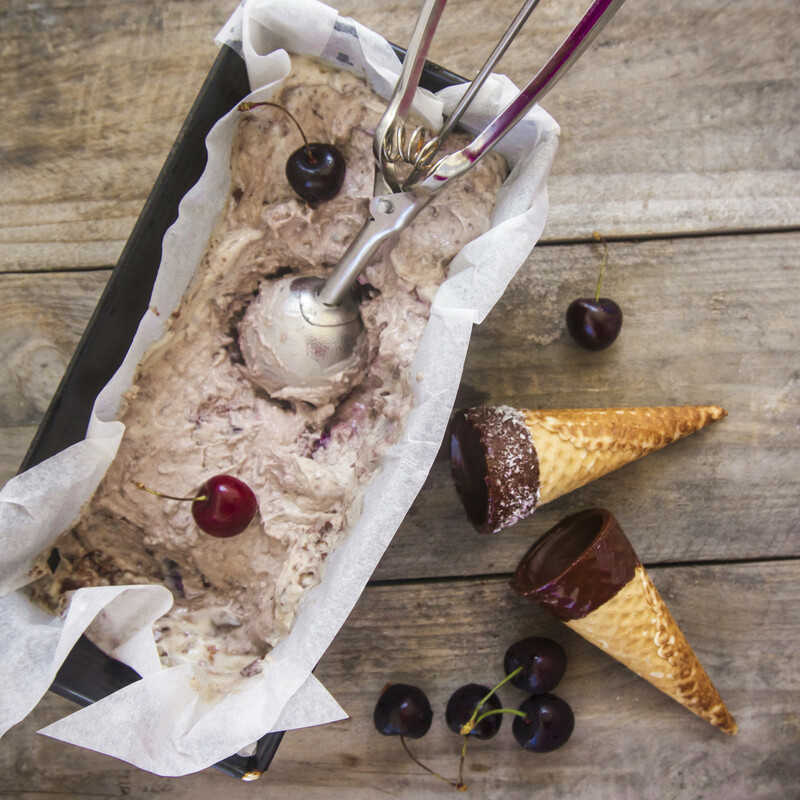 As it’s boiling hot in Cyprus at the moment (and probably will continue to be for a few more months) I’ve come around to experiment some more with creamy, dairy-free ice cream flavours, that are both refined sugar-free and vegan. As you might now, I’m a great advocate for indulging in local fruits and veggies, if possible. Since cherries have been wonderfully ripe and available here for the past weeks, I just had to create a cooling delicious flavor with them. 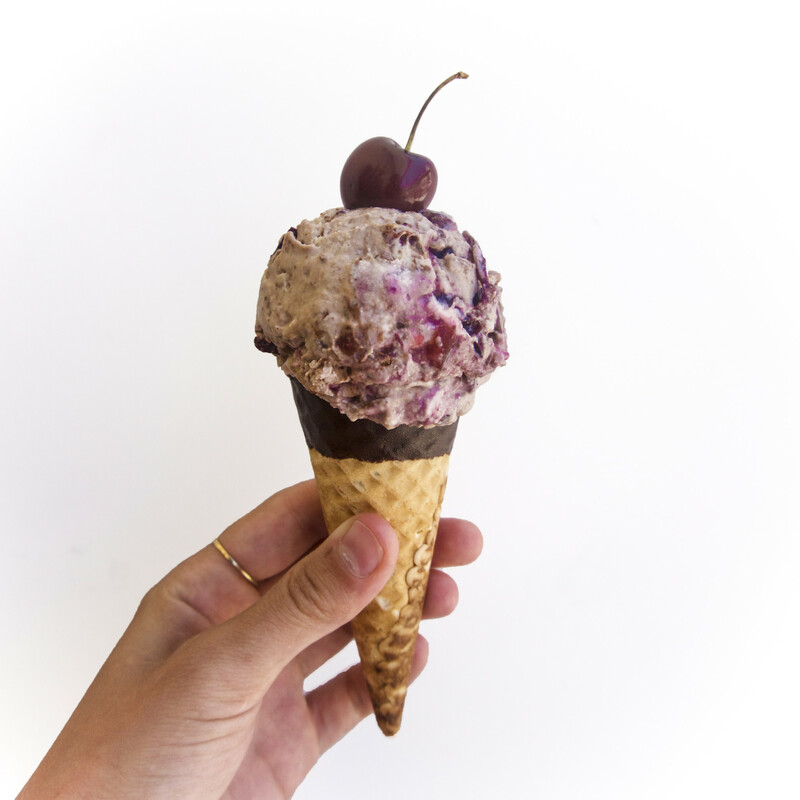 And I gotta say, this Cherry Chocolate Ice Cream was more than I’ve ever hoped for! Making ice cream without a fancy machine (not talking about banana ice cream here, which is amazing on its own – but a whole different level) is usually quite time and money consuming, so I was hoping for something more simple but equally delicious. The tricky part when it comes to the art of ice cream making is usually the creaminess. If you add too much water, it gets too icy, if you don’t add enough it might not be smooth enough. Soak the cashews in water overnight, rinse and drain them properly. Add them into a highs-speed blender together with the coconut cream, maple syrup and vanilla and blend on medium speed until creamy. Line a cake/bread loaf tin with parchment paper and pour in the smooth mixture. Add in the cherries and chocolate and take a spoon to swirl and mix around the ingredients. Place in the freezer for 5-6 hours (or until firm - depending on your freezer). You want the mixture to be frozen but not too hard, or else it will be tough to scoop it out. If it's too frozen, let it stand outside to thaw a few minutes before serving. For more infos on how to get the book, click → here ←.